Schönes Haus an einem breiten Kanal Privater Pool- zu Fuß zum Strand / Geschäfte! Beschuss-Familienfreundlich! Fesselnde mediterrane Stuck-Haus-Mit WIFI-Solar beheizten Pool (13 x 26) groß-in Lanai und Dock gescreent! Offener Konzeptgrundriss. Neue Küche - Granit und Ahorn Schränke, große Fliesenböden im Wohn - Esszimmer und Küche, Holzlaminat in den Schlafzimmern. Sie haben Ihr Zuhause in der Ferne gefunden. Das Haus bietet ein helles, luftiges - geräumiges Wohnzimmer mit viel natürlichem Licht - Snack-Bar - voller Essbereich und Lese-Alkoven. Die 3 Schlafzimmer sind auch sehr komfortabel - die meisten sind mit Deckenventilatoren ausgestattet. Master-Schlafzimmer hat ein Kingsize-Bett, Deckenventilator, Flachbild-Smart-TV, Sitzecke und einem angeschlossenen Vollbad mit Wanne und Dusche. Das zweite Schlafzimmer hat eine Königin, Sitzecke und begehbarer Kleiderschrank (könnte als Babyzimmer verwendet werden) Flachbildschirm Smart-TV und Deckenventilator. Das dritte Schlafzimmer hat 2 Einzelbetten. Das Familienzimmer verfügt über ein ausziehbares Queensize-Schlafsofa. Dieses Haus ist günstig gelegen-150 Meter zum Strand Zugang, kurzer Fußweg zum Einkaufen, Theater und gutes Essen. Kurze Fahrt zum Golf. Das Haus liegt an einem breiten Kanal - der Ausblick wird Ihnen den Atem rauben! Der Strand ist wunderschön mit seinem schönen weiten weißen weichen Sand und dem klaren, blauen Wasser. Wir haben Gäste, die aus allen Teilen der Welt nach Shell hier auf der Insel kommen. Nach einem langen "harten" Tag am Strand - es ist schön, die Fersen hochzulaufen - entspannen Sie auf der Terrasse (Loungemöbel + Sonnenschirm natürlich inbegriffen) - schlürfen Sie frische Margaritas - während Sie vorbeifahrende Boote oder gelegentlich Delfine beobachten. Our second stay at Harmony House and look forward to visiting again and again! Our family thoroughly enjoyed all the amenities- especially the very well stocked kitchen. Made being together easy and fun! Awesome rental. Very clean and well stocked. Beautiful clean home and property. Better than advertised. Great location to shopping, beach and south end of island. Beach was clean and enjoyable to walk. Sunsets amazing. Quiet area. We enjoyed the local restaurants, theater and fun trolly rides to North end of island. Publix close by and had everything we needed and then some! Took a pontoon boat out and saw dolphins playing. Went to Lovers Key and rented kayaks and saw many manatee. Even saw dolphins many times in the canal behind house! Perfect place to vacation on Fort Myers Beach. Thank you for pointing out some great attributes of the area! Love the trolley! So glad you mentioned that-so much to do in aft Myers Beach! Our stay at this private home was outstanding. This home has so much charm. The home is beautifully decorated and well maintained. The kitchen stocked with all of the necessary household amenities along with anything and everything needed for the beach and the great pool. Dana, the owner was always quick to respond to any questions we had and she left a great notebook of explanation of the house along with "things to see and do." The house is located on a water inlet leading into the bay and it was not unusual to see dolphin and manatee swimming by. We were a short walk from the beautiful Ft. Myers beaches along with restaurants, places of interest and bike rentals. For your review. I am thrilled you enjoyed your stay-that means I’m doing my job well! Thanks for pointing out a lot of the great features of the house . It was our pleasure to have you! We have stayed up and down the Naples/Fort Myers/Marco coast, and this property ranks near the top! 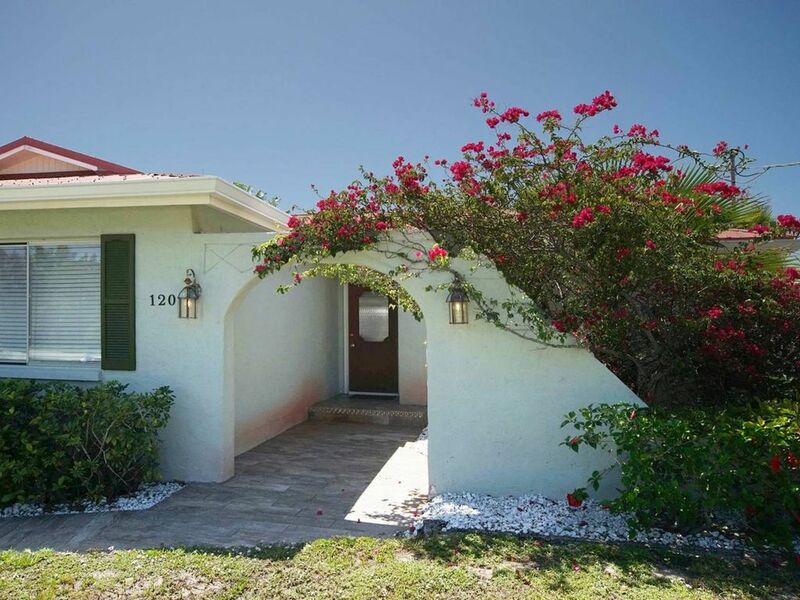 It is in a great location, close to the beach and walking distance to restaurants. The pool and lanai are also beautiful. Dana is very responsive and the process of check in and check out was a breeze. We really enjoyed our stay and hope to be back! Thanks Tim and Irene for your review. I am glad that you were able to enjoy what the house has to offer- and thanks for the valuable feed back! We had a great stay at Harmony house. The house and location were exactly as described and extremely clean and well maintained. The kitchen was well stocked with supplies and pots, pans etc. We were in contact with the manager on our drive down and were able to get in the house the moment we arrived witch was great. We came with our son and daughter and three of there friends. The layout was great for spending time together but the bedroom and bathroom locations also provided space for everyone. Dana was great to deal with and graciously provided information and recommendations by text. We would not hesitate to come back or recommend the property to friends. Thanks Janet for pointing out some nice attributes the home has to offer.